After somewhat of a lackluster 2018 in terms of the Rookie of the Year battle, here in 2019, we are set to see a much closer battle between five drivers who come into the season with a wide variety of former NASCAR experience. First we have Tanner Berryhill, 25, from Bixby, Oklahoma, driving the Obaika Racing #97. At the time of this writing, the team had withdrawn from the Daytona 500 with a myriad of issues. While it’s currently unclear how this will affect the rest of their season or Berryhill’s status as driver, the team recently posted they plan on attempting as many races as possible. Berryhill’s selection, even from the get-go at the team’s NASCAR return for the Xfinity race at the Charlotte Roval has been a bit surprising. This surprise isn’t a knock at Berryhill himself, but mearly a result of what has been an all-around average career such far, as well as the fact that he was not a driver who had backing from a big sponsor. In his 40 starts over three seasons in Xfinity, with the majority coming in a team owned by his father, he had a best finish of 17th, average finish of 32nd and six DNQ’s. It is always good to see a driver who never did get a shot on a strong team come back and try to make a name for himself again, but this year will most likely prove a struggle. Driving an un-chartered car, he will have to qualify on time for any events they enter. After making a race, most likely their goal will be to log laps and learn, as well as bring the car back in one piece which, while that is the goal for any rookie driver, doing so in a single-car, underfunded team makes that quite a lofty goal in of itself. Next on the list is Quin Houff, 21, from Weyers Cave, Virginia. Houff came into the NASCAR spotlight in a big way back in January when the Spire Motorsports announced that Houff would join their organization for what is believed to be roughly half of the 2019 season. The immediate reaction of many fans was that of “who is Quin Houff?” It’s fair to say he is not a household name, and as such, this was a fair question to ask. His first season within the top-three tiers of NASCAR came back in 2017 with Precision Performance Racing, which formed from the remnants of the former Viva Motorsports. A part-time team during the 2017 season, Houff had a very respectable debut finish of 15th at Bristol. Houff ultimately attempted six more races in 2017 while making four of them, averaging a 21st place finish in his five races. Last year he made five starts at the end of the season for JD Motorsports between the #4 and #15 machines, averaging a 26th place finish, with a best finish of 14th at Kansas. This whole team is quite a wildcard, as its unsure how much support they will have from Chip Ganassi Racing, if any, after Jamie McMurray competes with the team in the Daytona 500 with a driver who has shown he can pilot a NASCAR car and place where the car should, or better depending on the circumstances. Matt Tifft, 22, of Hinckley, Ohio, would be the first of what we could put down as the first of the legitimate contenders for the ROTY honors. Driving the #36 Ford for Front Row Motorsports, Tifft has shown both amazing perseverance and great talent in his first few years in NASCAR. While he has yet to score a victory in his 102 starts between Xfinity and the Gander Outdoor Truck Series, he has shown more than enough to justify moving up into the big leagues. His first top-tier NASCAR start came at Martinsville in 2014, where he burst onto the scene with an 8th place finish. He scored several more top-10’s running a limited truck schedule in 2015, and eventually got his big chance by scoring a ride in a Joe Gibbs Racing Xfinity car starting at Richmond in 2016. After the spring Dover race, he was sidelined with a back injury and while undergoing treatment his injury, it was discovered he had a mild brain tumor. He eventually recovered from both ailments, and on his return to the Xfinity series at the fall Kentucky race in 2016, he scored a top-5 finish. In his 25 NGOTS starts, he averaged a 15th place finish in 25 races, with a best finish of 5th. As for Xfinity, in his 77 starts, he has a best finish of 2nd , with an average finish of 14th. The car he is driving this year was the old BK Racing #83, of which Front Row purchased the charter and some assets last year. 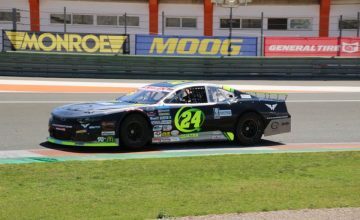 Front Row has been steadily gaining every year of their existence, and can lay claim to 2 victories at the top level of stock car racing. Their last foray into a three-car operation included a start and park, so this season will be their first running three full time cars. They recently moved into a bigger shop, and have made investments to improve their team as a whole. I expect Tifft to make strong runs at the plate races where this team is always strong, as well as road-course events with him being a strong driver at those races, as well as having a great road courser racer as a teammate in Michael McDowell. 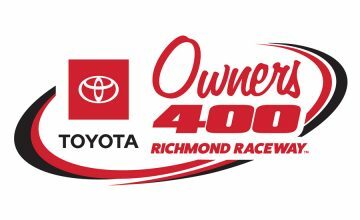 The fourth driver on this list, driving the #47 for JTG-Daugherty Racingis Ryan Preece, 28, of Berlin, Connecticut. The oldest driver on this list, he is also the only contender this year that has a win in one of the top three divisions. A modified driver by trade, he was first brought into the top-ranks of NASCAR by fellow modified enthusiast Tommy Baldwin, and drove a few Xfinity & Cup series races for him between 2013 and 2015. In 2016, Preece ran a full season of Xfinity for JD Motorsports, posting a best finish of 10th at Darlington, with an average finish of 23rd. After that season, he decided to take his talents back to Modifieds, where he had the chance to run for wins on a weekly basis. In 2017, he took a big personal risk, and with the help of some of his modified sponsors, bought the seat of the #20 Joe Gibbs car for two races, which were the Loudon and Iowa races. His gamble was successful as he finished second at Loudon, and won at Iowa. Those finishes turned into more rides, and in 2018 he scored another win, this time at the spring Bristol race. His constant top five efforts caught the eyes of many teams, and during the fall event at Charlotte, it was announced that he would replace AJ Allmendinger in the #47 car for 2019. JTG-Daugherty has been a very up & down team since it went from Xfinity to Cup racing, with several wins between Marcos Ambrose and AJ Allmendinger, as well as many mid-20th place and lower results. For 2019, they are moving to a Hendrick alliance, replacing the alliance they had with Richard Childress Racing since their switch from Toyota to Chevy. While many of the Chevy teams last year had some teething issues with the new ZR-1 Camero, the gains that Chevy has made along with this switch should result in an uptick in more consistent top 15 finishes from both cars. Some people saw this move for Preece as a desperation attempt to getting into the Cup series, but Preece has shown before he is more than willing to stick with his morals and preference for being able to run near the front on a constant basis. I predict that many people will be surprised this year by him and this team. The final driver on the roster of 2019 Sunoco Rookie of the Year contenders is Daniel Hemric, 28, of Kannapolis, NC, driving the #8 for Richard Childress Racing. Hemric has been quite a model of consistency over his NASCAR career, logging top ten finishes in over 60% of his combined Truck & Xfinity starts. The one thing missing is a win, no doubt, but when a driver has scored a top 5 finish in one-third of their total starts (15 in truck, 23 in Xfinity in 116 total starts), that is most certainly not just luck. He takes care of his cars, doesn’t drive overly aggressive, but is no push over. His ability to outdrive his NTS Motorsports equipment in 2015 earned him his ride with Brad Keselowski Racing in 2016. Another strong season with a 6th place points finish in 2016 got him into the RCR camp for the 2017 Xfinity season, where he has been since. He ran two races in 2018 for RCR in the Cup series, at Richmond and the Charlotte Roval, finishing 32nd and 23rd respectively. There are many people feel that despite their appearance in the Chase last year, RCR is in the midst of a decline. They recently sold off their third charter, and are planning to focus on two cars again this year. There should be a general resurgence in the Chevy teams this year with the work done to the Camero’s, and if Hemric can bring his consistency that has been his mainstay the past few years, there is no reason to believe that this can be a stabilizing year for both driver and the team as they look for the start of a rise back to prominence. 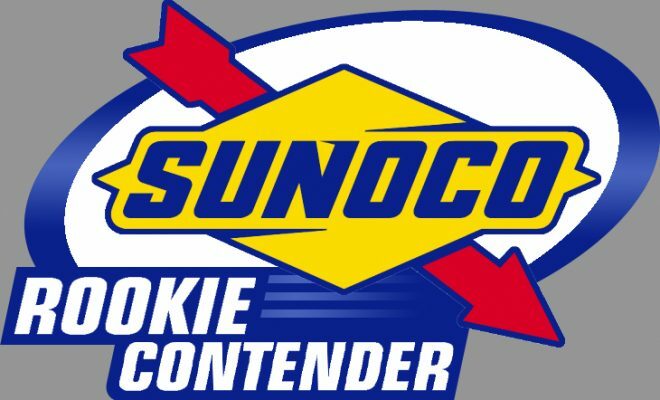 In the end, I foresee Preece being able to score some great finishes, and for Tifft to possibly steal a win if luck and mother nature can be on his side, but I predict that Hemric will have the best, consistent finishes of the group that will net him 2019 Sunoco ROTY honors.